Hello, my name is Kim, and I'm a clutterholic. Seriously, I try to fight against the clutter, and it wins every time. I got this tip from Sarah Carter to have spots for "Today, Tomorrow, & Soon" for my copies that I have printed. In Computer Science Discoveries, I haven't been having them use computer at all for "unplugged" lessons so I have something printed for each day. For Math 6, I'm on a more day to day basis, seeing what the kids need. I never did use those exit tickets on the top tray. On a similar note, I've also been trying out my own take on Sarah's Unit Dividers (the yellow sheet) but I'm not sure if I'm a fan of them yet. 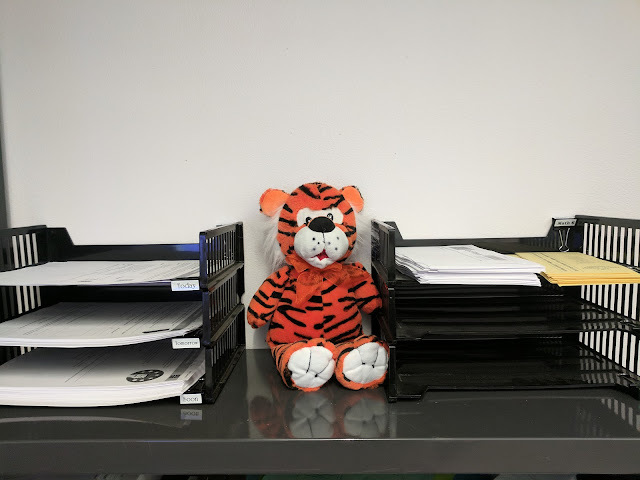 We just put them in yesterday, as well as one for their iReady diagnostic results, but my 6th graders struggle so much with following my directions to put them in that I might just switch over to a unit page and be done with the whole mess. We'll see, I might just keep using them the rest of the year and decide at the end if they were worth it. Oooh so nice and organized. What you don't see, though, is that the bookshelves underneath are a jumble of papers and materials. 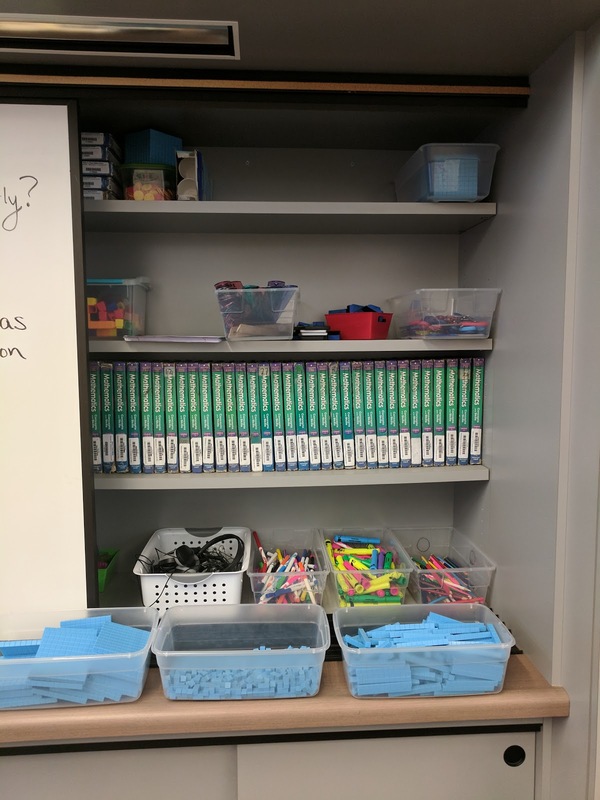 I also used my coworker's idea to put student supplies behind the whiteboard, so they can just grab them instead of asking me for them. They still do, but at least now I can wave my hand at the supplies instead of fetching them. I meant to take pictures of my desk & the containers for turn in work, but I forgot. I'll try to take some pictures and edit this on Monday. I have two of these banker's boxes that I but binder clips with period #s on, one for work that's on time and one for late work. 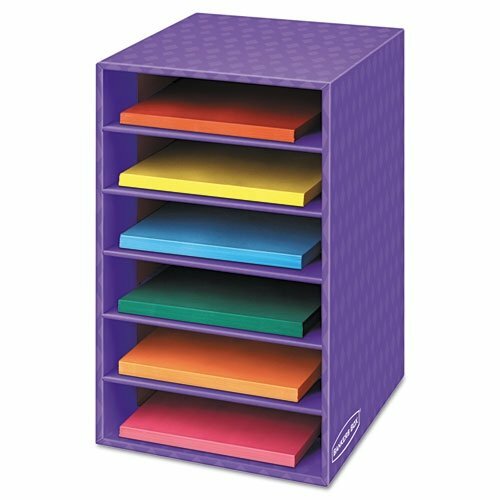 I do love to be organized, but get too drained to think of the most effective ways to conquer my clutter. Or I get overwhelmed by all of the possibilities and end up just doing the same old, same old piles of paper and stuff.